Replacing the Townshend Fractal F1 with Chord Sarum T proved a good move, it tightened the bottom end and added some attack to the leading edges. This livened things up nicely, making the music quite a lot more engaging. The presentation was less relaxed but the overall balance better suited to a wide range of music styles. Yet it was still easy enough to drift away with laid back material. Detail levels were up slightly as well, this isn’t the most revealing of loudspeakers, but through the mid and treble at least it’s easy to hear what’s going on with a fair degree of clarity. I changed from the ATC P2 power amp to an integrated DM250 from Struss Audio of Poland, this tightened up the timing and increased resolution which indicates that this speaker is sensitive to the source and amplification. The grooves on the K&D Sessions[Kruder and Dorfmeister, K7!] had plenty of detail and a juicy bottom end that inspired extended listening at highish levels. It also had me wondering how valve friendly the Elipsons might be. I only have a Quad VA-One to hand and that’s quite low powered with 12 Watts on hand for eight Ohm loads but it was worth a try. Or not: while it livened things up and brought out some of the energy in the music, there was clearly a shortfall that made for rather less than effortless listening. A bigger valve power amp might be an option, however, and glass audio enthusiasts could do worse than checking this speaker out. 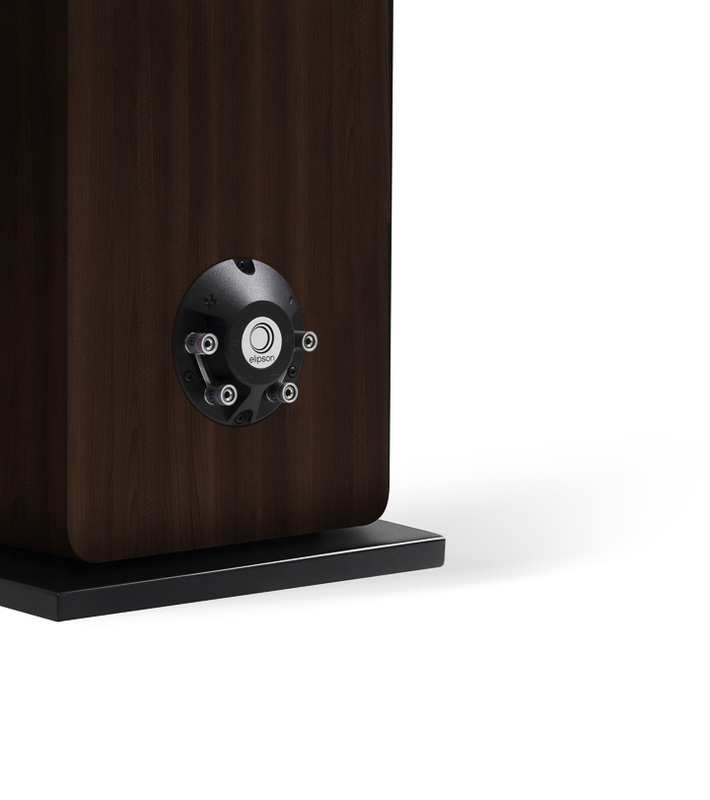 The Elipson Prestige Facet 24F is an unusual loudspeaker in today’s market. It has more bass than most and is happy to play at higher levels than the competition. Its tonal balance doesn’t seem entirely even but this does little to undermine the appeal of what it plays. Those looking to unwind with their music will find a lot to like, especially if they enjoy a bit of home cinema too.